Eyes on the prize! 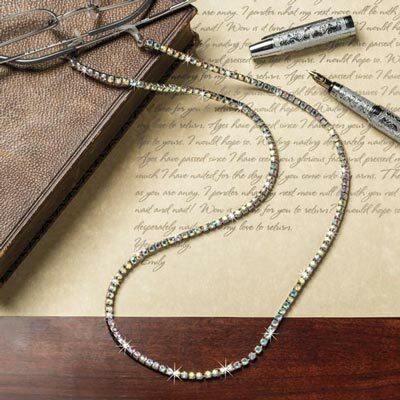 Keep your specs close at hand with this Glimmering Rhinestone Eyeglass Chain. Gives a chic look to any outfit while securely holding your readers, bifocals, even sunglasses. Unstretched chain features rubber loops. 25"l.